Save $6 when you purchase one box. Save on any check accessory order with code. Save $2 on a single box of checks with code. Save up to 50% when you purchase 2 or more boxes. Wouldn't life be so much more beautiful if everyday objects were works of art? Well, turning everything into art would take ages, but you can bring just a little more creativity into your life with Artistic Checks designs. Draw up savings for yourself with an Artistic Checks coupon code. Art is what sets humans apart from all the other animals in the world. With Artistic Checks, it can also be what sets your checks apart from everyone else’s boring, bank-issued ones. Everyone has different tastes in art, but we can all appreciate beauty. Artistic Checks lets you choose from hundreds of artistic check designs to find one that really speaks to you. From cute animals and lovely flowers to minimalist designs, you’ll certainly find something that fits your tastes. Besides checks, ArtisticChecks.com also offers address labels, checkbook covers, personal cards, and more. Even if you’re not finding the right design for you, don’t give up on Artistic Checks just yet. You can also use your own photos to create custom check designs, photo checkbook covers, address labels, and even photo purses. Not only are these fun to order for yourself, the purse or checkbook cover would make a great gift. Artistic Checks has over 15 years of experience in custom check printing. The company’s goal is to deliver high-quality products in a secure way, and also offer affordable prices to their customers. To this end, they typically offer up to 50% savings compared to bank prices. Why stare at a soulless page when you could see a beautiful landscape or an artistic design every time you open your checkbook? Order your creative checks today, and get imaginative with your savings by using an Artistic Checks coupon code. Looking for a little more creativity in your day? Artistic Checks can deliver it, with imaginative designs for checks, address labels, checkbooks, and more. If you have questions while you’re shopping or ordering, just read on to find the answers you need. How come my Artistic Checks coupon code won’t work? Often, if the promo code you’re trying to use for Artistic Checks won’t work, it’s because it has already expired. You can double check the expiry date to make sure it hasn’t already passed. 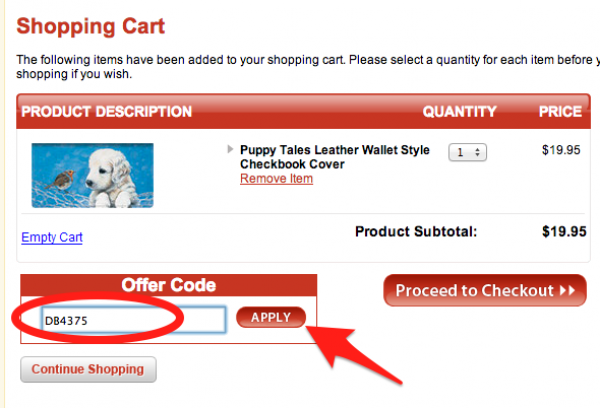 It’s also possible that there are restrictions on the coupon code you’re trying to use. If your order doesn’t match the restrictions, the code won’t work. 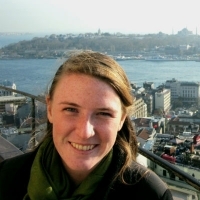 What kinds of restrictions might a coupon for Artistic Checks have? Some common restrictions are minimum order amounts or certain types of items that have to be ordered for a coupon to work. You can check the restrictions on an Artistic Checks coupon by clicking on the small “i” or “information” symbol in the right hand corner of the coupon. How much does shipping cost from ArtisticChecks.com? Shipping costs from Artistic Checks depend on how fast you want to receive your order, and how much you order. You can check out the chart of shipping methods and prices here. Does Artistic Checks offer free shipping? Yes! You can get free standard shipping from ArtisticChecks.com with any order. However, there still is a handling cost of $2.95 for each box of checks. Will checks from Artistic Checks work with my bank? Yes. Artistic Checks prints all their checks according to the standards set by the American National Standards Institute, the same standards that banks follow when printing their own checks. They also use the latest security devices to prevent fraud. What information do I need handy when I order my checks? You’ll need your bank account number, routing number, and of course your name and address. If you’re not sure where to find these numbers, refer to the diagram that’s provided at the personalization step for assistance. What is ArtisticChecks.com’s return policy? Artistic Checks stands by a 100% satisfaction guarantee, so if you’re unhappy with your checks, you can contact customer service to get a refund or replacement for your product. However, Artistic Checks cannot give refunds or replacements for products that were printed with mistakes that you made while ordering, so be sure to triple check the information you provide when you order your checks! How can I get in touch with Artistic Checks customer service? There are a couple of ways to contact Artistic Checks. You can email them by filling out the email form provided on this page, or you can call them at 1-800-243-2577. 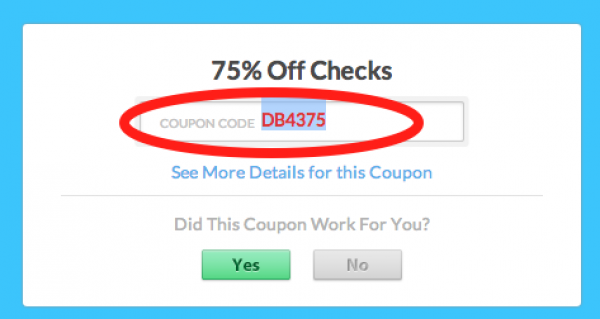 First, select which coupon code you'd like to use for Artistic Checks and click "Get Deal" or "Get Code." A window will appear, showing you the promo code. You should highlight and copy it so that you can use it later. If the window says "No Code Required," that means you don't need to copy a coupon code – your savings will be automatic. Next, browse ArtisticChecks.com and find the type of checks you want to order. You can shop by all different types of designs, or you can create your own with a photo. Don't forget to get matching address labels and other accessories. When you're done shopping, click the shopping cart icon at the top of the page to view your shopping cart. On your shopping cart page, first check and make sure your order is correct. Then look for the box that says "Offer Code." Enter your Artistic Checks coupon code here and click "Apply." You should see your discount appear. Next, click "Proceed to Checkout" to continue. At this point, you'll have to enter your email address, then click "Continue." Next, you'll have to enter your billing and shipping addresses, and then your payment information. When you're done, look over your order once more, then submit it.